ConserVentures has hired Gary Haynes, a retired law enforcement officer with the U.S. Park Service, to lead a professional development seminar in early October to teach 35 scouts additional skills in tactical anti-poaching tracking. Gary was trained in man-tracking techniques by such specialists as David Scott Donelan, a veteran of the bush wars in southern Africa in the 1970s and 1980s. Assisting Gary will be Michael Hardin, a currently serving law enforcement officer with the Park Service who has extensive experience tracking and pursuing smugglers and fugitives throughout the western U.S., and ConserVentures volunteers Mike McCarthy of Park City and Bill Meilhan of Texas. We’ll also be equipping the scouts with rucksacks to augment the tents, GPS units, and binoculars we delivered to them in 2010. Using funds donated by ConserVentures supporters, we purchased 35 new old-stock military surplus rucksacks for the scouts. We settled on ex-Italian-military items made from heavy-duty cotton canvas rather than UV-sensitive nylon. These packs have no plastic buckles or clips, which are also prone to UV damage and breakage—all the hardware is coated steel, much better suited to conditions on remote patrols far from sources of replacement parts. The packs should provide durable service in the bush, and the olive drab color and quiet canvas is an advantage as well. The workshop will be held at the South Rift Resource Center, which is managed by the Olkirimatian Women’s Group. Once we’ve wrapped up the class, ConserVentures volunteer directors Jonathan and Roseann Hanson will lead a safari for our instructors and volunteers. We’ll drive a pair of Land Rover 110s from Shaw Safaris on a route that will essentially circumnavigate the entire Serengeti/Mara ecosystem, first climbing the west wall of the Rift Valley, stopping by Lake Victoria, then crossing into Tanzania and heading into Serengeti and Olduvai Gorge. Our last stop will be at our friend Hagai Kissila’s Whistling Thorn Camp, on the border of Tarangire National Park, one of the best spots on the continent to see elephant. 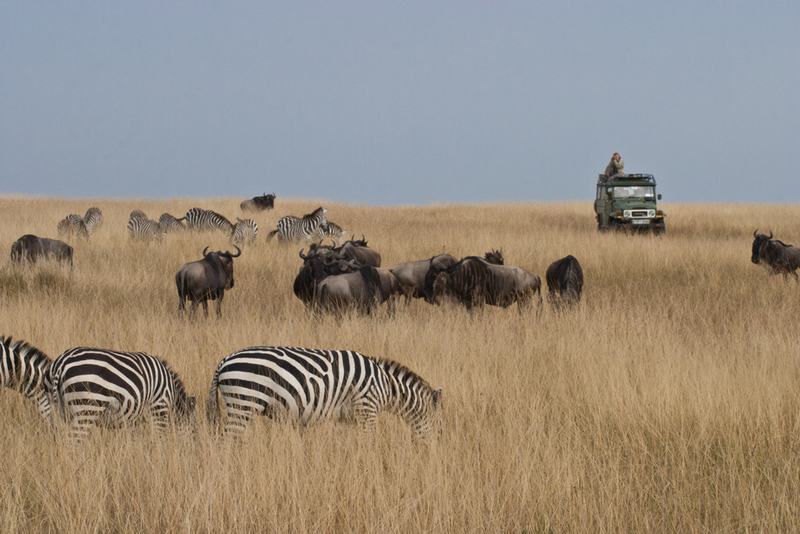 If helping out with worthwhile community conservation projects—and driving a Land Rover around East Africa—sounds appealing, please become a ConserVentures supporter and find out how you can contribute your own talents. Join us . . .